These high velocity portable fans feature a rugged polyethylene housing designed for years of hard use. This housing resists dents and corrosion and does not rattle. Choose from our standard roll around and unique tiltable models. Use for general ventilation, heat circulation and spot cooling at points of high heat production. • Extremely high air flow and air throw. • Single and two-speed models available. • Housing available in black or white. • UL approved, five foot power cord. 36" Mobile drum black fan, 1/2 HP, 11,000 cfm, direct-drive. 36" VS36VKT-OSHA-B Tiltable drum black fan, 1/2 HP, 11,000 cfm, direct-drive. 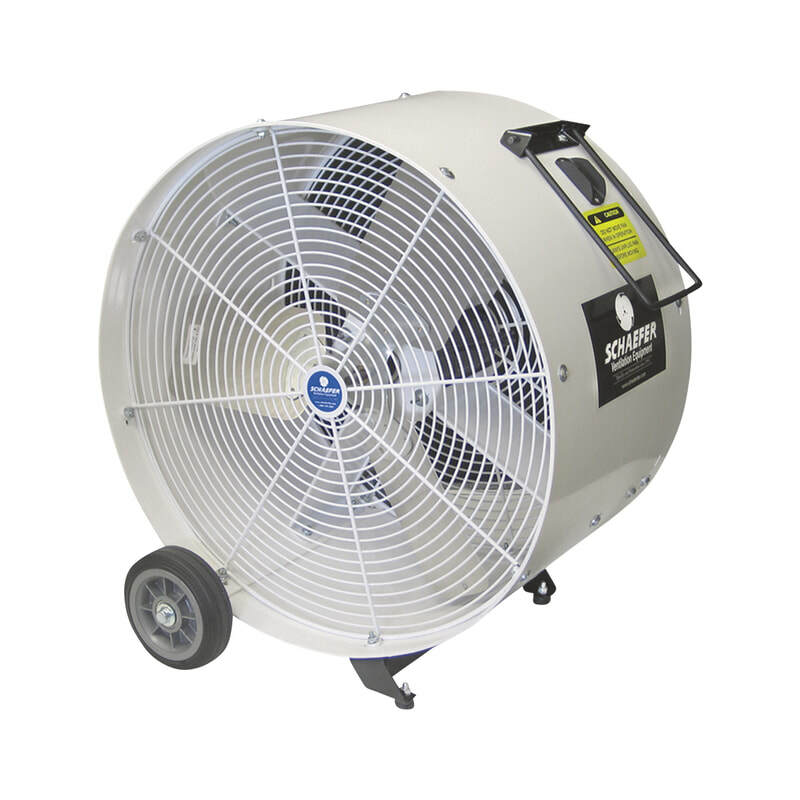 24" Mobile drum white fan, 2-speed, 1/2 HP, 5790 cfm, direct-drive.